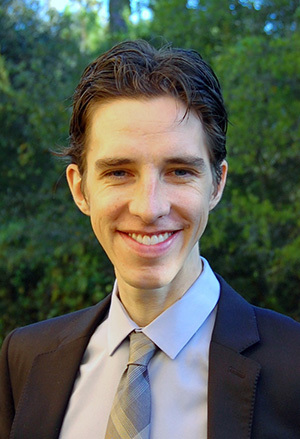 New faculty member Nathan Johnson, Ph.D.
Where is your degree from? When? What areas did you study? What subjects did you / are you publish(ing) in? I have a Ph.D. from the University of Wisconsin-Madison in information studies and a minor in communication arts. I was also trained as a librarian and have an M.A. in library and information studies. In addition, I spent time at the University of Washington in Seattle and have an M.A. in communication, with a focus on rhetorical and critical studies. My areas of scholarship are research methodology and information infrastructure. Essentially, I was trained as an academic librarian, a job that is often viewed as supplementary to primary research activity. I am interested in how that work is important for the types of ideas that get published, or, in other words, how background resources help scholars research and do their work. I have published on research methodology and rhetoric and am nearly done with a book that discusses a methodological approach for scholars interested in the rhetoric of science, technology, engineering or mathematics. What classes are you or will you be teaching? How would you describe the class(es)? I am currently teaching classes on new media and grant writing to undergraduate students. I will likely be teaching graduate courses on research methodology and public rhetorics, but I'm happy to teach a variety of courses in rhetoric and composition. In the future, I would like to teach professional development courses. Also, I think it would fun to teach grant writing as a graduate seminar. In general, my classes tend to be a mix of theoretical readings and hands-on activities. My undergraduate courses include sections with rhetorical theory and real-world writing assignments. For example, in my New Media class, we will read classical rhetoric, but I also expect students to learn some computer programming. My graduate classes are often the same way. Most of my classes include some component of research methodology, and I ask students to conduct empirical studies as we work through the core readings. Mostly, I am finishing my book on rhetorical methodology. In addition, I have several articles that I am revising for publication about rhetoric and information infrastructure. I have a dream of one day creating a hybrid physical/digital library for rhetorical studies in science. It would be a curated collection of materials that would serve as a clearinghouse for the field. I'd also love to do a project interviewing scholars in rhetoric about how they got interested in the field. What is your favorite memory of graduate school? I really enjoyed the first rhetoric class I ever took, a graduate-level course on the rhetoric of technology with Rob Howard at UW-Madison. I was a new student and had mostly taken classes on librarianship. I did not understand the material very well but was still really excited about the ideas. Rob Howard got me interested in rhetoric. Before I took that class, I had thought about leaving graduate school and working as a librarian. Also, my interest in research methodology is a direct result of working with my adviser at UW-Madison: Kristin Eschenfelder. She pushed me to really demonstrate why the claims in my scholarship were accurate, and I spent a lot of time revising work so that it met her rigorous criteria for scholarship and research. I learned a lot and left graduate school with a real interest in methodology. What are your first impressions of Tampa and USF? I grew up in Northern Minnesota and North Dakota and am done with cold weather. I really enjoy Tampa's warmer climate. USF has been great so far, particularly the opportunity to work with a more diverse group of students than I have previously. Could you tell us about your interests/activities outside of work? I'm an avid urban bicyclist (I like to people-watch while I ride). I also enjoy playing music. I play my guitars, ukulele and a drum kit as much as I can when I have time. I'm hoping to get a piano in our house soon, so that I can start playing that again as well.